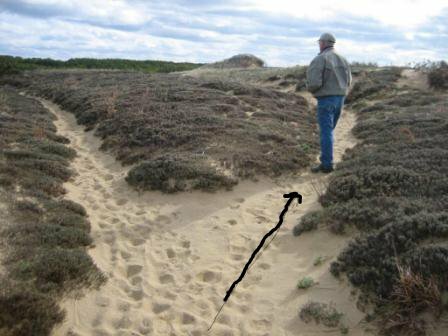 Description: Hike the dunes south of Duck Harbor and walk in the woods along the Herring River. Trip is 3.6 miles and 1.5 hours. 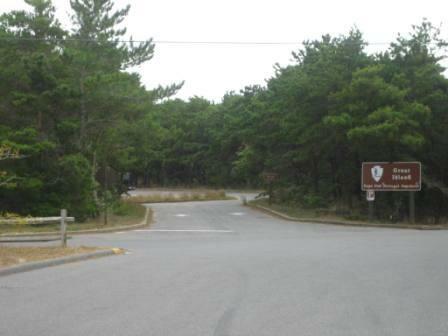 Driving/Parking Directions: Chequesset Neck Road, right at end onto Griffin Island Road, left on Duck Harbor Rd. Follow to parking lot at end. Continue south for a short time and enter woods. 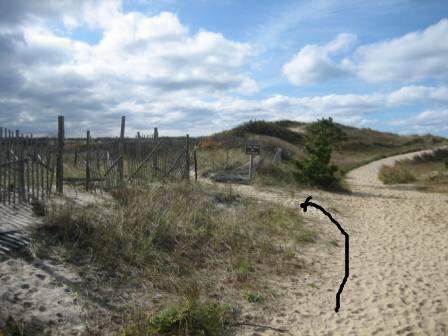 Exit woods at top of dunes and continue walking south along dune top. 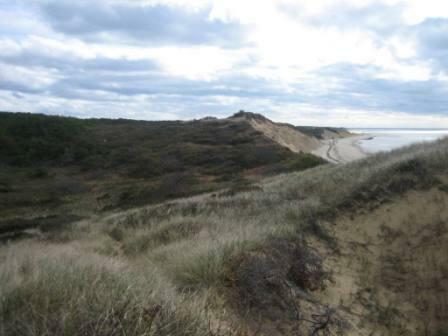 Views of Sandwich and Plymouth looking west and Provincetown looking north. Continue STRAIGHT through first intersection. (If you go LEFT you will go to Griffin Island Rd.). 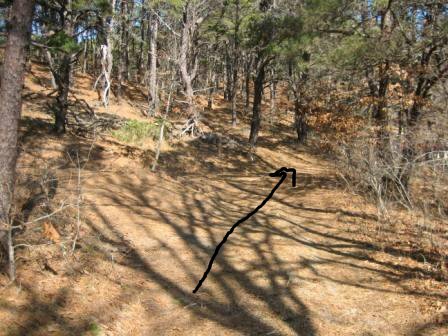 Continue to the first fork turning RIGHT along dunes and then enter wooded area. (If you go LEFT you will go to Griffin Island Rd.). Continue until you reach a driveway, and then turn LEFT. 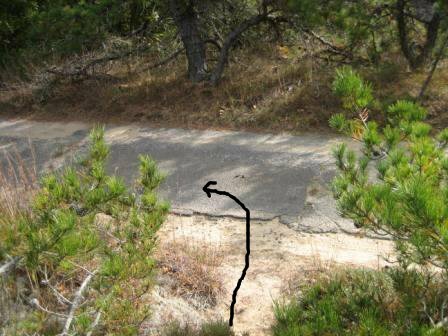 Continue on the driveway until you reach Griffin Island Rd then turn RIGHT and walk until you reach Chequesset Neck Rd. 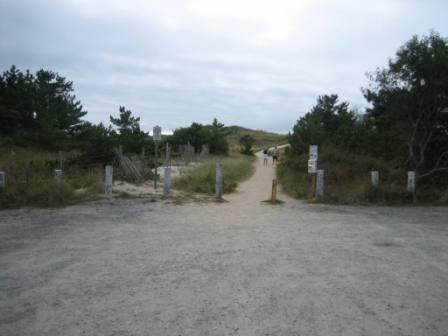 near the Great Island sign and parking lot. 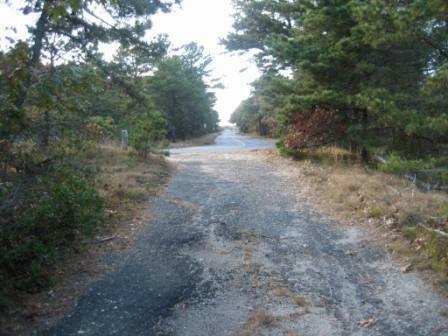 Turn LEFT and walk down Chequesset Neck Rd until you reach the first dirt road on the left (100 yards). 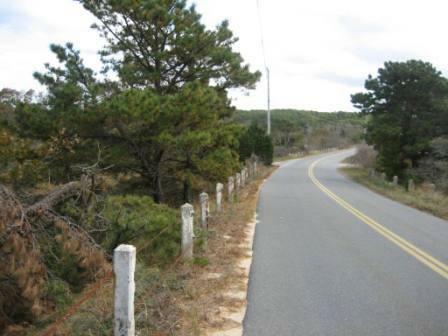 When you reach it, turn LEFT on the Duck Harbor Road. 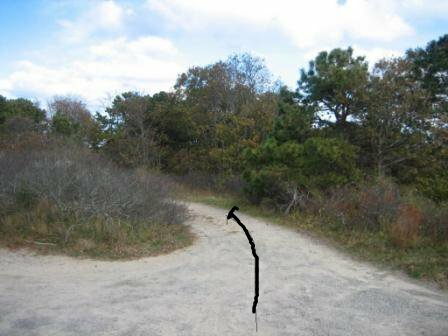 Continue on this road going through the (only) fork until you reach a bend in the road and a ‘Fire Road’ sign on a chain. 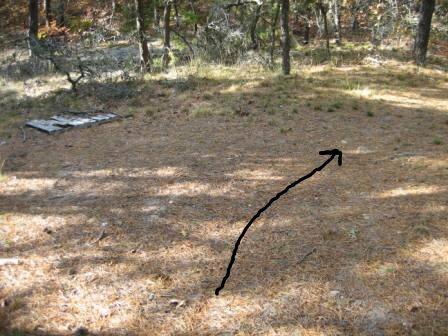 Go LEFT up the hill into the woods again. 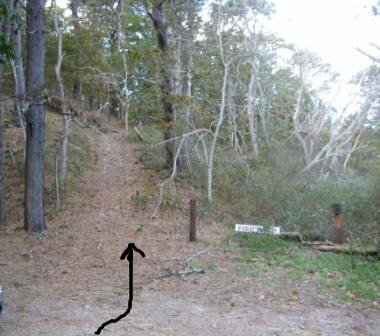 Continue on path turning RIGHT at fork then go down hill slightly. Shortly you will come to a second fork. Go LEFT here. 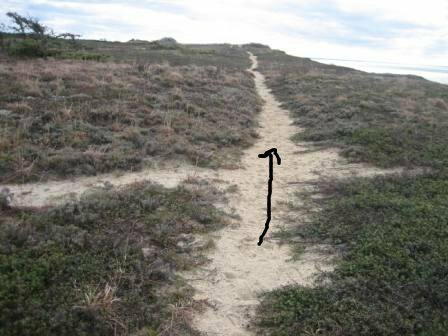 Continue on this path making no additional turns. 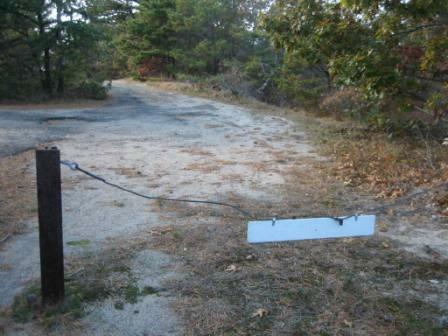 Soon you will see another fire road sign, passing that you will see the parking lot.